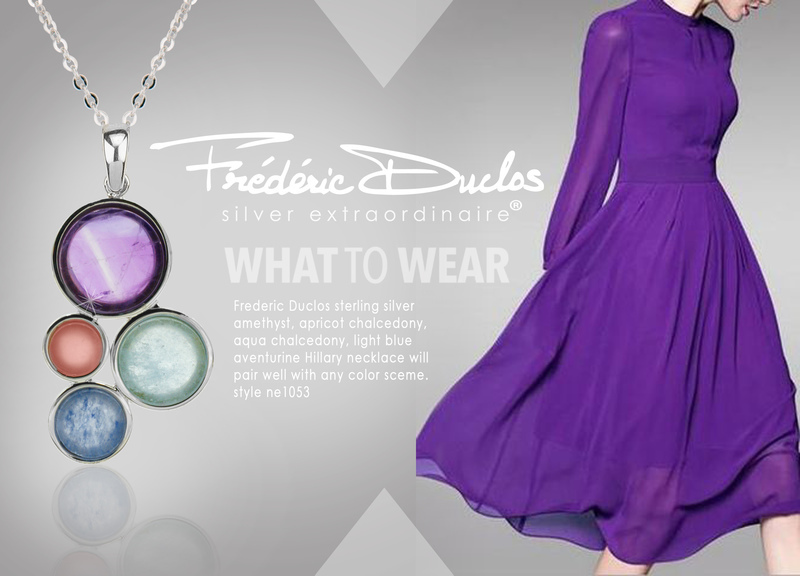 Frederic Duclos is an award winning French designer of contemporary sterling silver jewelry. This family owned design studio was created under the guidance of Karen and Frederic Duclos in 1984 and is celebrating its 34th anniversary this year. Frederic Duclos is originally from Southeastern France, where for several generations, his family has been designing accessories. Frederic’s upbringing cultivated an admiration for art and sculpture. The influence of rolling hillsides with a river running through it and the vast pre-Alps in the distance provided a perfect backdrop for inspiration to start flowing. Walks beside his mom on the Rue d’ Antibe in Cannes with the picturesque French Riviera further stirred the inner voice of the designer. In his mind, sculpture was limitless, but controlling size and balance to create individual jewelry pieces became his passion. After completing studies in Paris, Frederic was immediately drawn into the allure of jewelry design. His last year of college brought him to California, where he was introduced to Karen by a mutual friend. Karen, at eighteen and a junior at the University of California, had started a wholesale jewelry and accessories business. She soon discovered a niche for designer sterling jewelry. Together, they opened one of the few electroforming factories in the U.S. In the early years, they produced for the fashion market and private label for elite designers that wanted access to impeccable quality. In fact, they became authorities on this manufacturing method and were featured authors in the book titled Jewelry and Metalwork Survey Edition 2. Frederic expanded his collection into ornaments and objects d’art and is a recognized as a collectible artist in this specialized field. In the mid-90’s, Frederic found a comfortable niche in independent fine jewelry stores and these have been his primary retail partners for over 2 decades. The numerous awards he has received throughout the years always encourage him to create fresh, new concepts, as do the letters and emails from clients who express their appreciation of Frederic’s talents and how they have impacted their stores.